Aedeen is a native of Ireland and lives in the South Boston community. She has a Bachelor’s Degree in Education/Psychology from Blackrock Montessori College, Dublin, Ireland. She holds an AMI Early Childhood 3-6 yr. teaching credentials, plus Elementary 6-12 yrs. and special education. Over her extensive career in education, Aedeen has enjoyed teaching children from 0 – 12 yrs in a variety of Reggio inspired Art programs, Montessori schools and Daycare centers. Aedeen is also Director II qualified under the Department of Early Education and Childcare (EEC) and most recently worked as Education and Site Director. She has many years of experience working in a variety of administrative roles. Aedeen has been a member of various school evaluation and accreditation committees, has worked as an education consultant, teacher trainer, Admissions Director and Interim Head of School. Aedeen has a passion for community service and enjoys being involved with promoting the Arts locally. She is inspired by yoga/mindful meditation practices, cultural studies, nature walks and gardening. Aedeen’s mission is to work closely with children, families, teachers and staff to ensure that the center has the highest quality of care for everyone in the Ethos family. She is honored to serve the community and looks forward to this exciting journey together. Ms.Campanelli is currently the Higher Education Coordinator at NYS Childhood Professional Development Institute overseeing the Child Development Associate (CDA) and Children’s Program Administrator Credential (CPAC) programs for City University of New York (CUNY) School of Professional Studies. She is also an Adjunct Professor within the program and at Molly College on Long Island conducting several early childhood courses and observing student teacher field placement. She had managed a corporate sponsored Montessori program for 18 years, guiding hundreds of families through early childhood development. She also has experience opening and managing early childhood programs in the U.S., Australia, England and India. Ms. Campanelli is active in the early childhood community sitting on several advocacy boards and committees. 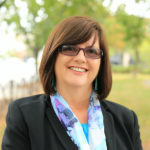 She currently sits as Past President of Suffolk Association for the Education of Young Children (AEYC), a member of the Suffolk County Infancy Leadership Circle, and is on the Eastern Suffolk Board of Cooperative Educational Services (BOCES) Advisory Committee for Early Childhood division. She is also the secretary and Director of Development of All Wheels Up, Inc.. A non-profit organization advocating and crash testing wheelchair restraints and wheelchairs, to provide data to the FAA. The work of AWU will one day allow individuals to travel safely the comfort of their power wheelchairs. Ms. Campanelli is frequent presenter speaking at variety of events and organizations such as National Association for the Education of Young Children (NAEYC), World Organization of Early Childhood Education (OMEP), Mid Atlantic State Philosophy of Education Society (MASPES) and Montessori conferences. Recently Ms. Campanelli presented at the 2016 The Association for the Study of Play (TASP) & International Association of Play (IAP) annual and bi-annual conference at Rutgers University, was a panelist at the 2016 Molloy College division of education Barbara A. McDonnell Early Childhood Conference: Play: A universal language of children. 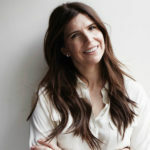 She also consults with universities, private schools, corporations, non- profits, school districts and franchised child care programs working with owners, director, teachers, students, and parents/families around the world. Ms. Campanelli is currently a doctoral student at LIU Post in New York. Her research in focusing on language development of infants and toddlers in mixed age classrooms. Ms. Campanelli holds a degree in Speech Language Pathology and Audiology, an MBA, and MA in Human Resources. Ms. Campanelli’s recent awards include 2015 Omicron Delta Kappa Honor Society, 2015 Exchange Magazine Emerging Leader Award; 2013 American Heart Saver for saving the life of a colleague providing CPR and AED support. Dr. Dubovoy is a teacher trainer, lecturer, consultant, and examiner for the Association Montessori Internationale (AMI) worldwide. 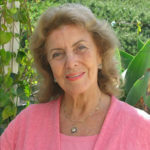 She has been involved in Montessori education since 1965 as a parent, board member and coordinator of her children’s school. Dr. Dubovoy has a Ph.D. in psychology from the University of Barcelona as well as the AMI Assistants to Infancy, Primary and Special Education diplomas. She was a board member of AMI, headquartered in Amsterdam, from 1982 until 2010 and currently serves on the AMI Research Committee and as one of the AMI representatives to the United Nations. Dr. Dubovoy’s training style is heavily influenced by her work with Dr. Carl Rogers in the field of humanistic psychology. When not at work, she adores reading and discussing books with her eleven grandchildren. 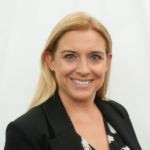 Daisy started her teaching career as a Montessori teacher in a pre school in central London. Daisy was passionate about early years education and wanted to further her teacher training and gained her BA in Early Years Education and then went on to achieve The Early Years Professional Status, which is considered the highest early years education qualification in the UK. Daisy left the pre school to teach Kindergarten at Thomas’s School in London and then went on to teach Kindergarten and run the Early Years Programme at Garden House School, London. During this time, Daisy would visit local pre schools and soon realised there was a need for high, quality pre school care in London that would not just prepare children for Kindergarten but for life too. Daisy’s dream was to create a school that offered the highest standards, set within a broad curriculum which would inspire enjoyment, learning and achievement. Daisy put together a team of teachers passionate about early years and in 2006 opened her first pre school, Miss Daisy’s Nursery School. Due to the high demand for places at her school, Daisy has grown her business and there are now currently three Miss Daisy’s Nursery Schools in central London. These schools feed to the top elementary schools in London. Daisy also co created a systematic synthetic phonics reading scheme with award winning educational apps, called hip hop hen. So far these apps have won Editors Choice on iTunes as well as Best Education Resource and are being developed into phonic reading books for home and school use. Daisy brings to Ethos her valuable expertise and experience as a teacher, director and school owner and most importantly her love for early years education.